Temperatures cooled down at the Prague Open ATP Challenger but the heat remained on court when everything culminated in an all Czech final the people were waiting for. 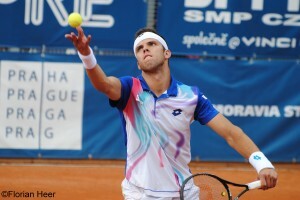 Second-seed Jiri Vesely advanced into the tournament’s last match on Sunday without dropping a set. 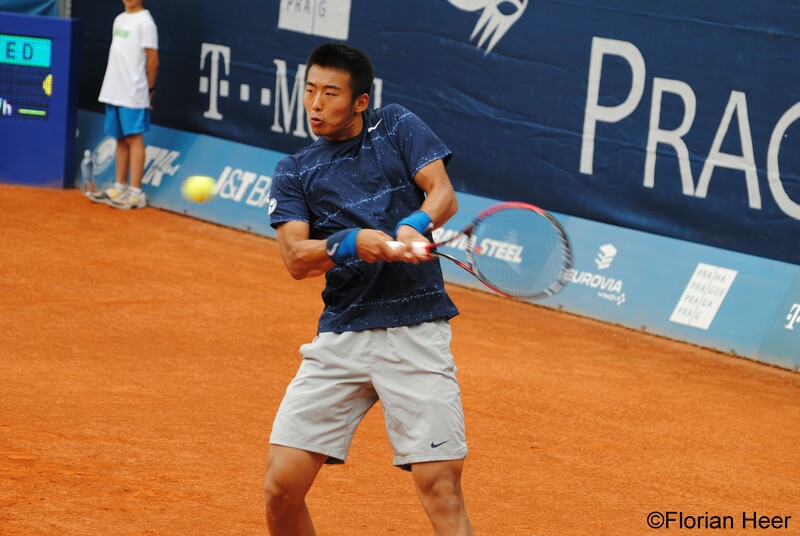 The 20-year-old had defeated Spanish veteran Ruben Ramirez Hidalgo in the stage of the last eight before he took out Ze Zhang winning 6-3, 6-3 in only 71 minutes. 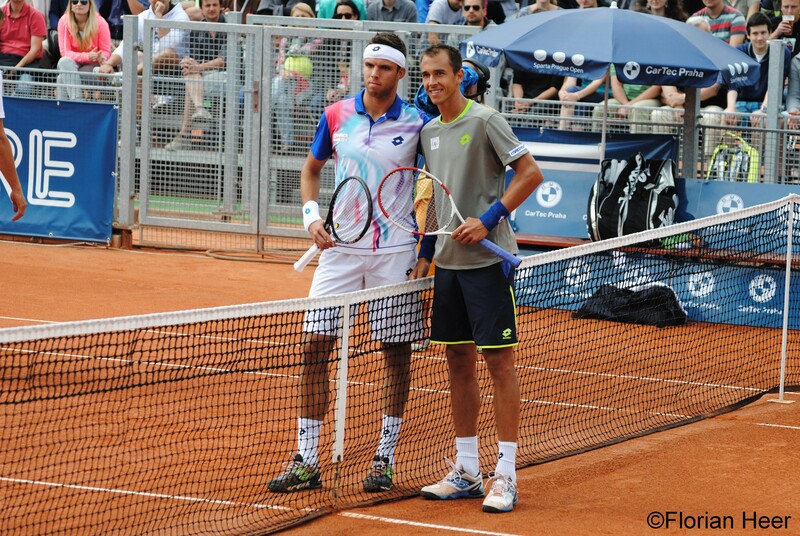 “I think I’ve played my best match this week so far,” Vesely was satisfied on Saturday. “Now, the focus in on the final. That’s the reason why I’m here,” he added. 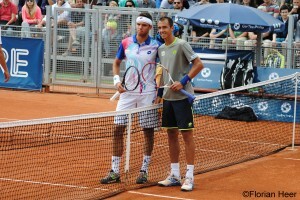 There he met his fellow countryman Lukas Rosol. The tournament’s top-seed, who overcame Lorenzo Giustino in straight sets in the quarterfinal and then beat qualifier Michael Lammer, who got into his only first ATP Challenger main draw this season here in Prague, winning 4-6, 6-1, 6-1 in one hour and 44 minutes. 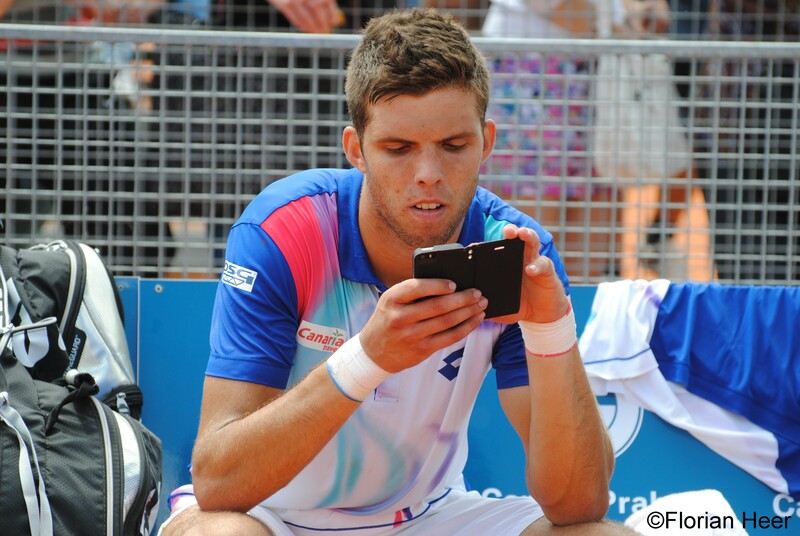 Both players met for the second time after the Czechs had faced in the first round at Roland Garros a couple of weeks ago with the better ending for Vesely winning in three sets. 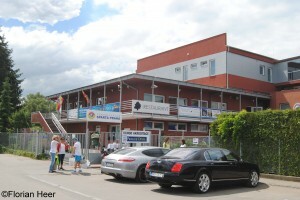 On Sunday in front of about 700 spectators – not all of them were able to find a seat in the stands – Vesely had the better start breaking his opponent’s serve in the opening game to finally serve the frame out in the ninth. From then on, Rosol moved better on court and hit the ball earlier, which seemed to be the right recipe today. The world number 56 took the second frame and finally gained the decisive break in the fifth game of the third set. 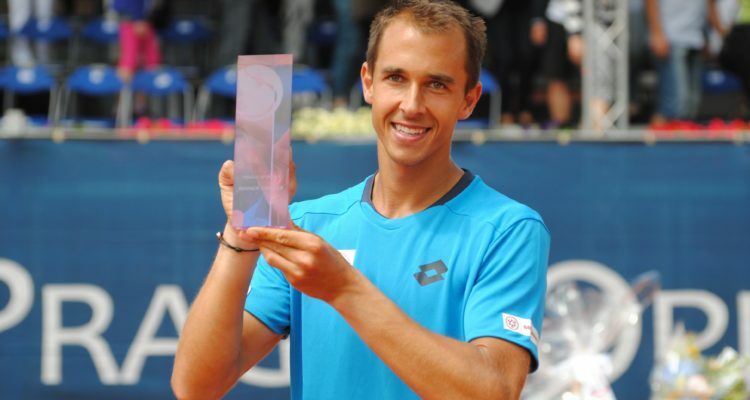 Rosol served out winning in two hours and one minute 3-6, 6-4, 6-4. “I had a good start into today’s final but then I started to hit a couple of errors, which is always dangerous against a good player like Lukas,” a disappointed Vesely said afterwards. “I’m going to have a break now for two days before I start with my grass court season. On Wednesday I’ll go to London for the first practice sessions in Wimbledon,” the youngster added and is looking forward to playing his first All England Championships as a senior, as he was granted a wild card. “My coach told me that it is not important having a bad start into the matches but to win them in the end, so I’m happy that I was able to come back into today’s game. 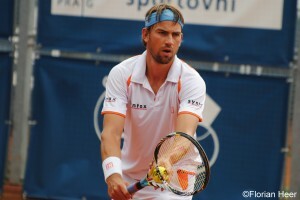 Jiri played a very good first set and I couldn’t really find a key to play against him. I tried to change my tactic. I became more efficient on the return and also served better,” Rosol told me. 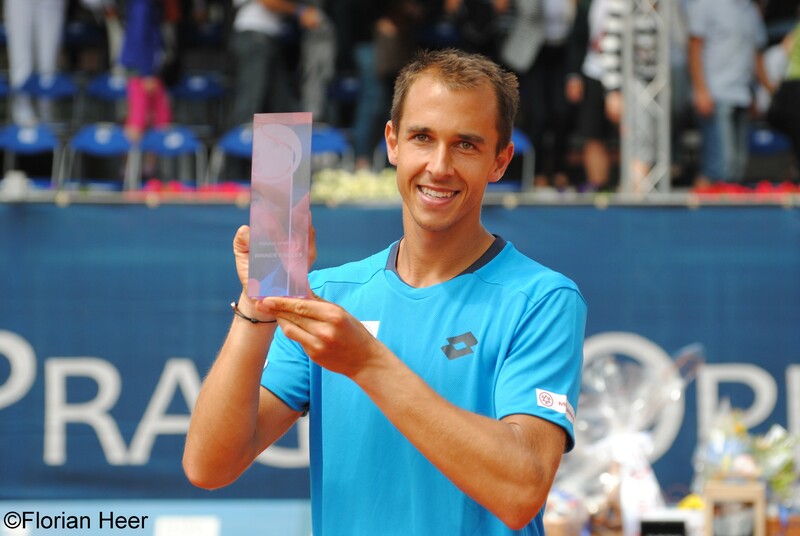 “Of course it is always nice to win a final but this is my home tournament and this is my home club, so this is a special victory,” he added after winning in Prague for the first time since 2011 and already left today for starting his grass court season in s’Hertogenbosch. This entry was posted in ATP Challenger Prague Open, ATP Challenger Tour and tagged ATP Challenger Prague Sparta Praha tennis Vesely Rosol.